Temperatures may be rising around the country, but we’re still daydreaming of sitting by a warm fireside nestled under a blanket with a good book. 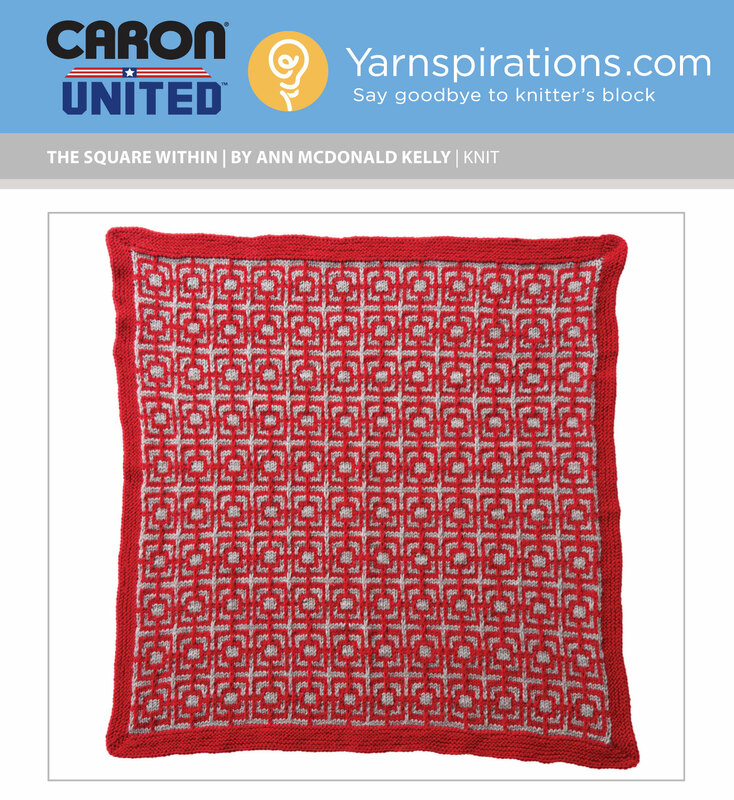 This month’s cozy knit pattern for the Caron United World’s Biggest Stocking project features squares on squares on squares! It’s a fun design that certainly pops. Fifteen cents of every Caron United yarn purchased will go towards the Children of Fallen Patriots Foundation’s college fund, which provides college educations to children who have lost a parent in battle. Every skein of yarn counts!